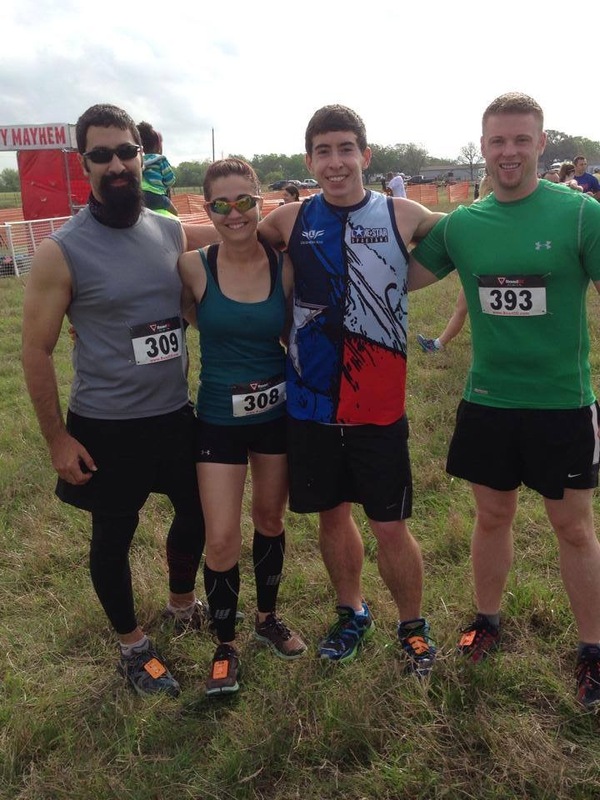 Muddy Mayhem is a local race to San Antonio, held on Brehm Farms on the date of April 12th, 2014. Let me first say, this race was the epitome of a local race. You park in a little field and YOU DON’T HAVE TO WALK 5 MINUTES TO GET TO THE FESTIVAL. I thought that was really nice, in case that wasn’t clear. The festival ground had a local margarita machine sponsor that offered some after the race for finishers and spectators, Monster energy had some Lemonade and Pink Lemonade Rehab, and Lone Star was out there offering beer, with a few other vendors I don’t recall. But also, cool garage band played covers of rock songs during the race at the festival area, which was a nice change from the usual blaring pop songs and techno that i’m used to. The awards ceremony was pretty casual too. First place in the age groups received a gift card to The Athletes Foot and some other little things while 2nd and 3rd place got a goodie bag with some cool running geek stuff. This race felt more like a trail run through cow pastures, with a 1.25 mile road run to get back to the original plot of land where the finish was. The cow pastures made this an ankle nightmare with all the random ruts around the field but as far as I know, nobody critically injured themselves out there. 5.1 miles of this was ideal for breaking some PR’s and just getting out in some different scenery in the San Antonio area. 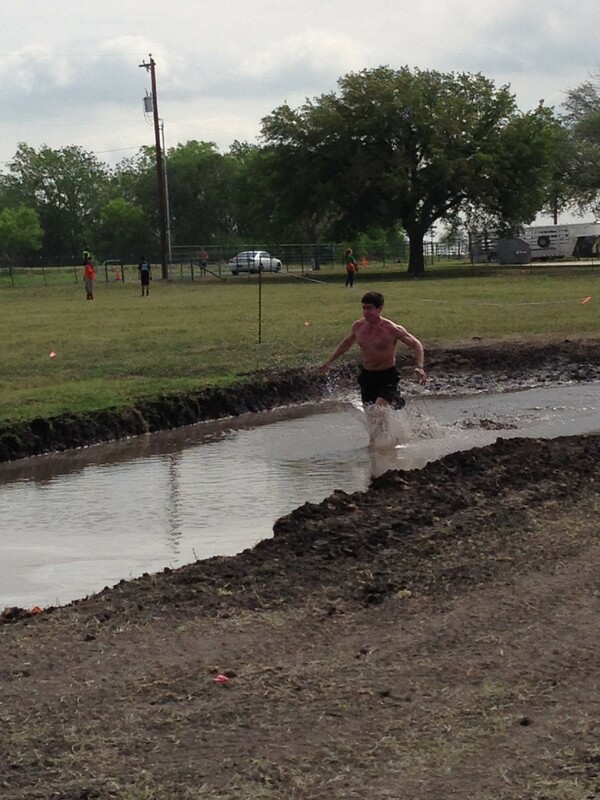 While I really enjoyed the scenery though, it’s almost not right to call this a mud run. 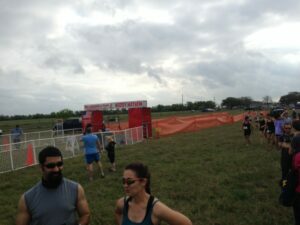 We had one spot in the course where we crawled through mud and then there was the pit at the end that you could walk through (I ran over it like a Jesus Lizard). 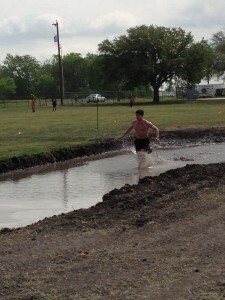 This course was a nice trail-ish race, i guess. It utilized the property available pretty well! I was also really enjoying the cows in the adjacent pasture next to us on the course, and yes I do think cows are cute. The obstacles didn’t really make or break the course, and it was really low key stuff, but I got passed up by a cross country guy that probably would have been behind me at the finish if there would have been more lifting, pulling and pushing stuff. So my recommendation to make this race a little more awesome would be to add a few more obstacles that require some strength, not a lot though. 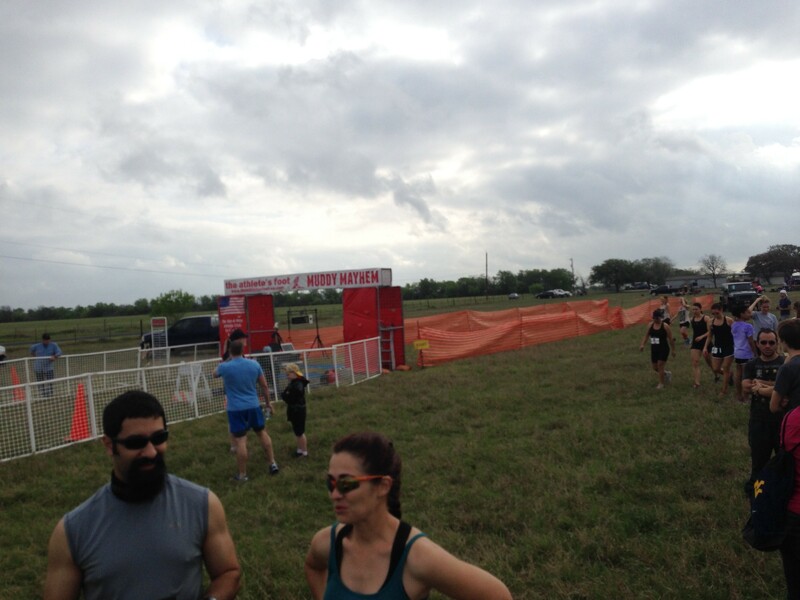 The difficulty of this course is perfect for a small race right now, and the addition of a few more things wouldn’t make it that much more difficult and would make the course a little more fun, bringing an awesome race to San Antonio community. If you are in San Antonio, go check out this race. I wouldn’t say this is worth traveling long distances for YET. Hopefully next year we can see bigger fire, more mud, more obstacles. The race is a fair price, you get a cool Tech-T, a finishers medal, and a chance to either hang out with your friends after the race with a margarita, or crush some PR’s with pace times. Either way this is a nice race for San Antonio, lots of potential and room for growth. I’ll go back again next year! 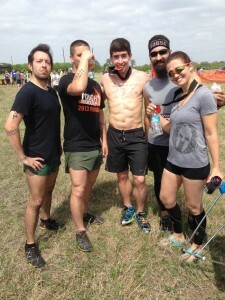 Check out the Muddy Mayhem San Antonio! DID YOU ATTEND THIS EVENT? Leave a comment below and share your thoughts! OR let me know what you would like to see out of my race reviews in the future.